Whenever I have to go into a local computer/electronics store for something in a bind. Whenever I go to Cabela's or any other large outdoor store. Whenever I go to the headphone section of a store. Can I assist you in any way? 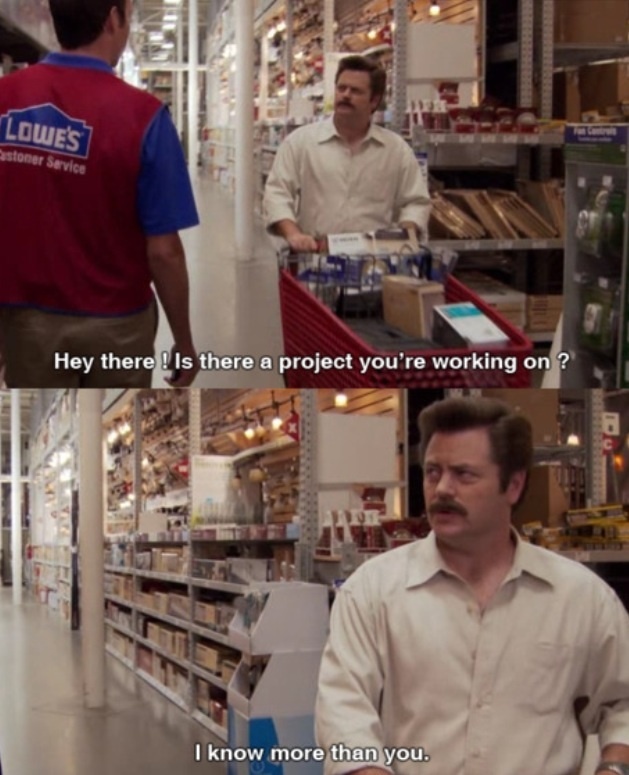 How I feel when shopping for nail polish in a store. This is how I feel every time the IT fellow at my school asks if I need help with the computer. How I feel walking around the Apple Store. How I feel walking into The Art of Shaving. 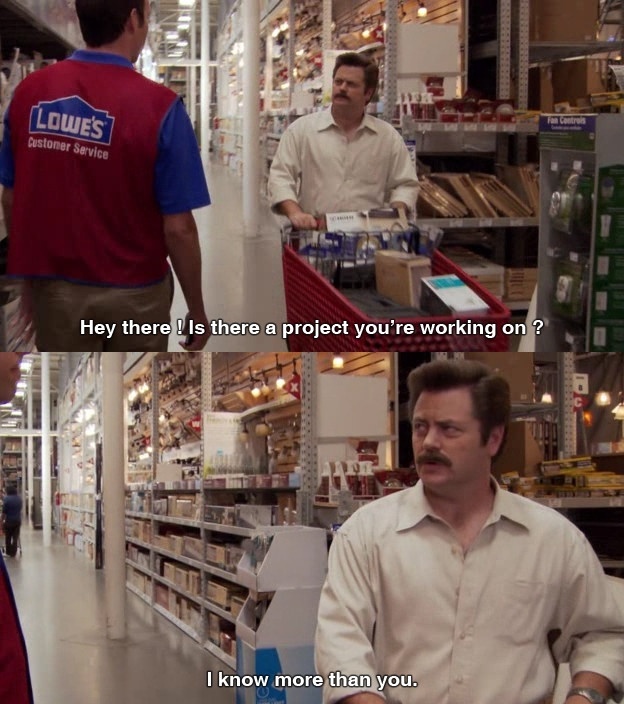 Every time I go to Best Buy. 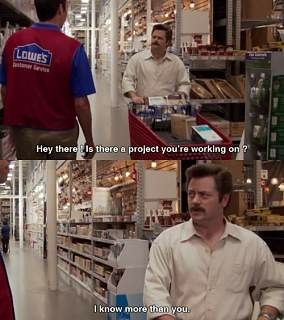 As a former 10 year employee whenever I go in to Home Depot. The first time I went to my LCS to buy comics I asked the owner if there were any Brightest Day one shots besides Larfleeze Christmas and he said he didn't know. This is how I feel walking in now. Everytime I go to Bestbuy. How I feel when my friends make me go for manicures with them. My internal reaction to a Fry's Worker trying to convince me that I need a 750w PSU for an i6 6500 and a GTX 1060.